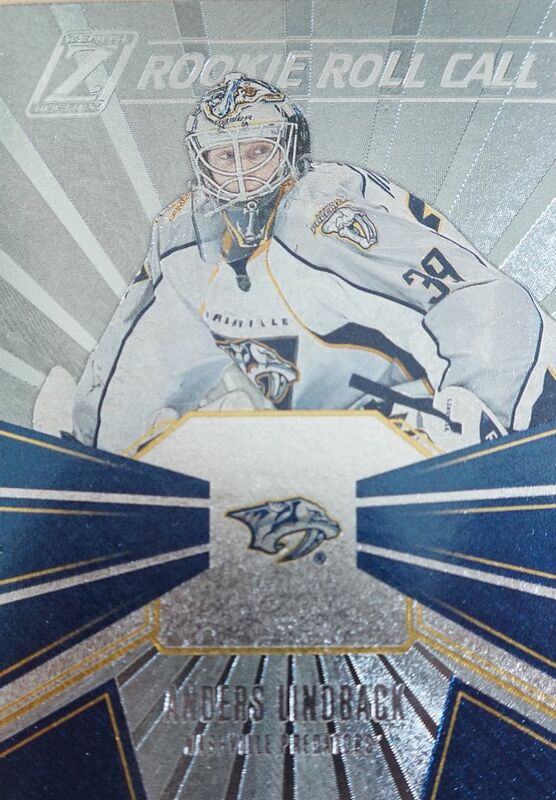 This morning I'll be opening up a blaster of Panini Zenith. 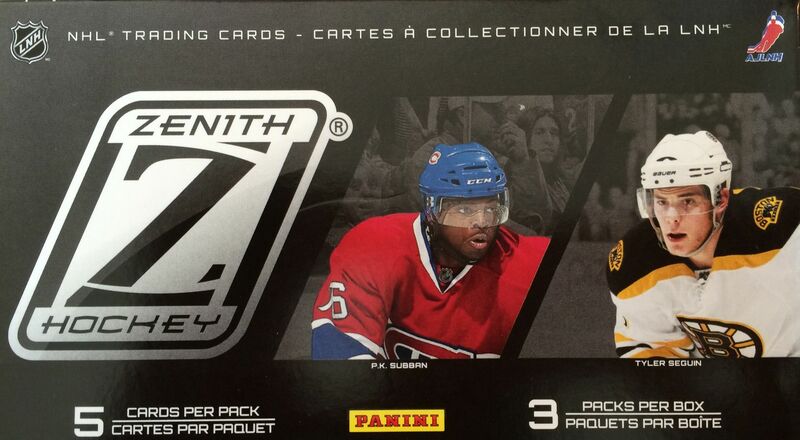 Zenith was a product that only lasted 1 season with Panini before it was taken out of the line-up. With a high starting price-point and cards that weren't that high in quality, it was obvious why this brand didn't succeed. Well, at least it's come down in price enough to pick up blasters easily! It's nice to see that these blasters don't cost too much. It makes them so much more fun to buy and open because of their modest price point. I've checked the wrap... and it's Panini wrapping so there should be guaranteed hit within. Most of the time the hit is a Winter Warriors jersey card. The Winter Warrior jersey set is one of my least favorite of all time because of how ugly they are. Zenith had always been about superior looking premium cards. That particular set was anything but! If I could have a choice I would like to find any autographed card inside. I already have plenty of jersey cards laying around the house. 2010 was such a great year for rookies that getting a good autographed rookie card would be pretty awesome. So this blaster turned out to be not too bad! 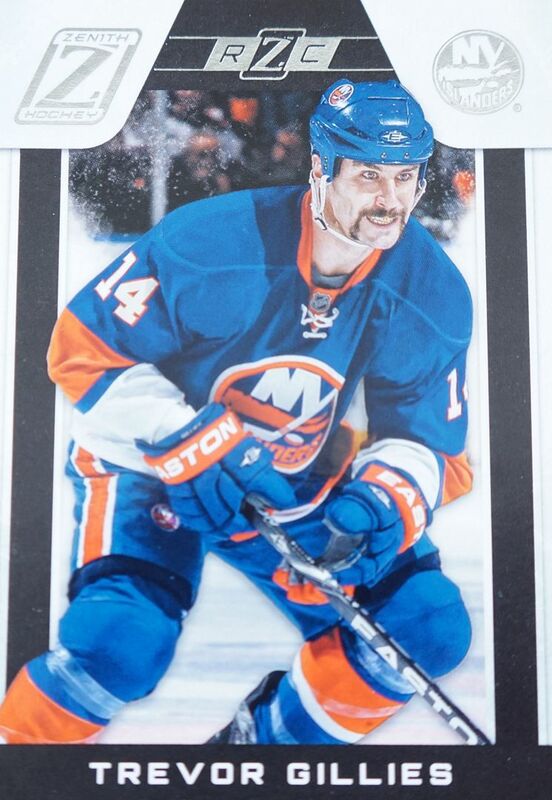 Even though I ended up getting a jersey hit, at least it wasn't the dreaded Winter Warrior card! The jersey card actually look very nice in person. All three packs actually had something in them, so that was nice. In terms of base cards, I did like getting the Felix Potvin LA Kings card. He's such an iconic Leaf that it's unusual to see him in anything else. And in terms of hometown base cards, I got Nemo and Jumbo in the three packs. Not a bad haul for Sharks! Not a huge name in the hockey world, but Gillies has a nice story behind him. I also appreciate that this rookie card is numbered to just 999 copies. I love it when insert cards are adorned with foil and really stand out from the rest of the pack, that's the way it used to be in the 90's. The Rookie Roll Call cards are super shiny and distinct. I am a huge fan of how this card looks. 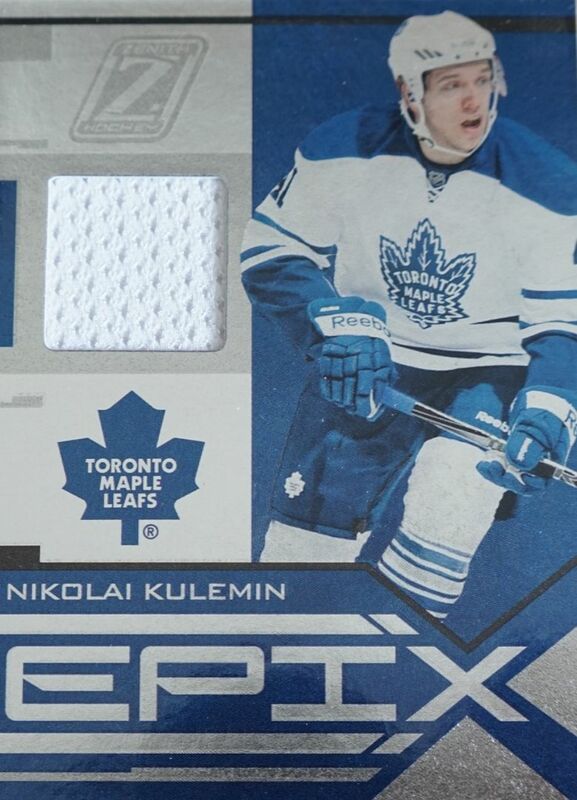 The Epix cards may not book for a high value, but these designs are some of the best for just a plain jersey card. It's also great how the card is limited to just 100. For about ten bucks this was not a bad deal. I was able to get a hit and a numbered rookie card. Even though this was a very quick break, I enjoyed it quite a bit and wouldn't mind going for another one of these blasters in the very near future. I just hope the supply of the won't dry up soon! I suggest trying one if you haven't done so just in case. Give Zenith a second chance!